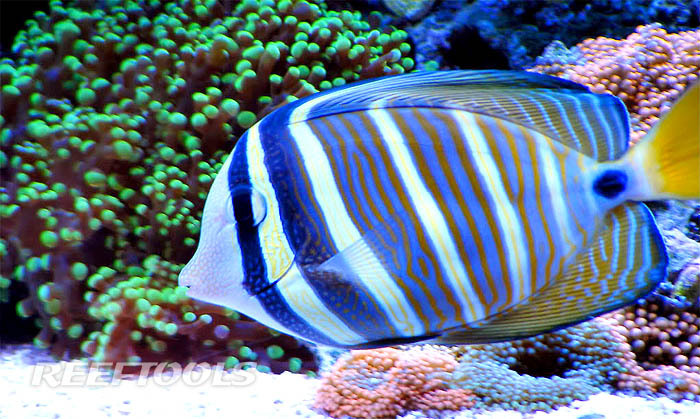 If you’re looking for a larger, attractive, and active fish, a tang might be just the thing for your saltwater tank. 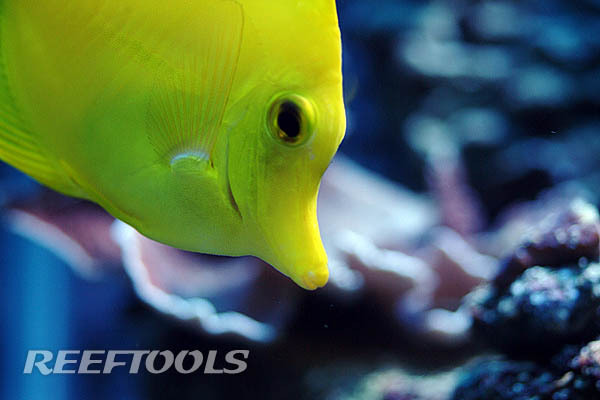 Being one of the most adaptive group of fish in the hobby, tangs are found in almost every fish store you come across. 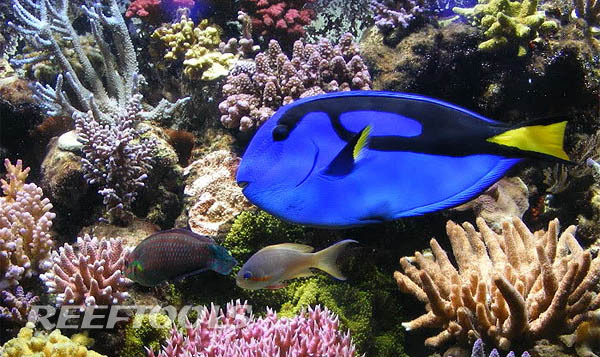 Some species that are commonly seen in a fish store would include the Pacific Blue Tang Paracanthurus hepatus, Yellow Tang Zebrasoma flavissimus, Naso Tang Naso lituratus, Kole Tang Ctenochaetus strigosus, and Powder Blue Tang Acathurus leucosterunon. Other species of tang are less common and more expensive, such as the Chevron Tang Ctenochaetus hawaiiensis, Achilles Tang Acanthurus Achilles, Black Tang Zebrasoma rostratum which can sell for over $800.00, and the Gematum Tang Zebrasoma gemmatum which can sell for over $2000.00. So which type of tang is best suited for your tank? Some basic requirements may need to be met first. 2) The tank should not have any small fish that would be intimidated by the tang’s presence. Also, the aggression level in the tank should be evaluated. Some tangs are fairly peaceful, while others can destroy tankmates in minutes. The Yellow Tang, Kole Tang, Chevron Tang, and Naso Tang are on the peaceful side, while the Clown Tang, White Face Tang Acathurus leucocheilus and Sohal Tang Acanthurus sohal can be more aggressive. 3) The tank should have a bit of algae and liverock for the tang to graze on. Since these fish eat mainly filamentous algae in the wild, fresh nori and spirulina algae flakes should be fed daily. They will eat meaty items, too, such as mysis shrimp and flake food. 4) The tank should be well circulated and filtered. Tangs produce quite a bit of waste due to their herbivorous nature, high metabolism, and larger size. Powerheads should be stirring the surface of the water to get maximum oxygen absorption. A protein skimmer should be used to pull organic waste out of the water and add additional oxygen to the water for the maximum health of your tang. 5) A good quarantine system is imperative. Tangs unfortunately can get ich, oodinium, flukes, and bacterial infections, especially shortly after importation. The use of copper at a .10 concentration for three weeks, as well as formalin baths and freshwater dips in a proper quarantine system, should ensure that these diseases do not become a factor in your fish’s health. Always ensure that your specimen is eating and acting normally before starting treatment, as copper is known to suppress a fish’s appetite. 6) The tank should not have any similar looking fish in it that the tang would mistake for another of its own kind. Body shape and color can be a catalyst for aggression. Mixing tangs of the same genus is generally a poor decision, although in larger systems it becomes less of a factor. 7) Generally you want to add a tang last to avoid any aggression issues. Once established, even the most passive tangs can carry a grudge on a new fish for a couple days, making that particular fish’s acclimation into captivity difficult and stressful to the point of death in some cases. If adding multiple tangs, it is best to add them all at once, or the most passive species first and the most aggressive last. If your tank fits these criteria, you maybe be ready to house a tang. While skimping on some of these criteria can still allow for success, it can also spell disaster. Be conscientious when making a decision about selecting a tang for your tank and you will likely enjoy these fish to their full potential. These enjoyable fish will easily be the show stoppers of the aquarium with the correct care. Whether you are looking for “Dory” from Disney’s “Finding Nemo” that everyone will recognize or a prized Gem from the island of Mauritius the Acanthidae family can fit the bill. I think you “hit” on almost all the basic requirements except for one, nutritional supplementation. Adding drops of Selcon to your Nori Sheets, Spirulina Brine, PE Mysis, &/or dry, will surely help Head & Line Erosion. Ralph, maybe part 2 will discuss diet and/or disease. That is exactly right Ralph… nutrition, and water quality play a huge part in keeping these guys healthy. Part 2 will discuss this in detail as well as collection and conditioning.